Missy Cooper: Why can’t we watch DuckTales? 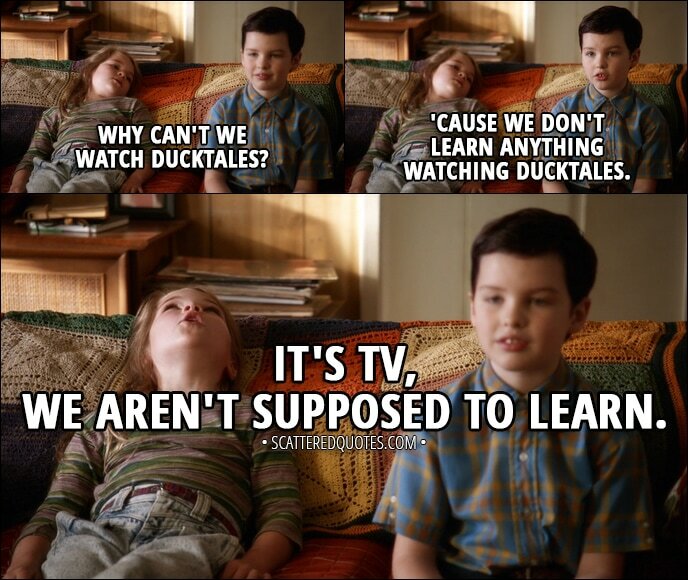 Sheldon Cooper: ‘Cause we don’t learn anything watching DuckTales. Missy Cooper: It’s TV, we aren’t supposed to learn. 5.11.2017 It’s TV, we aren’t supposed to learn.